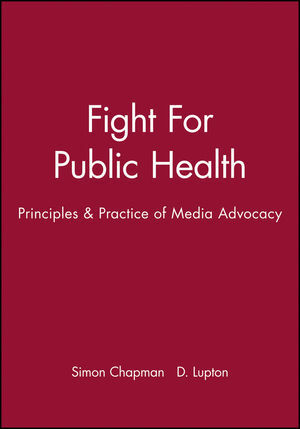 The work explores the field of public health advocacy from the twin perspectives of the sociology of news production and public health activism. The second section offers an A-Z of strategies for gaining media attention, with many entries illustrated by case histories. Covering theory and practice, the guide is intended for public health and community medicine workers, community health action groups, and students of mass communication, media studies or public health. Simon Chapmanis Professor in Public Health at the University of Sydney. He is the author of 11 books and major government reports, 302 papers and 112 letters and commentaries in peer reviewed journals. He is the Editor of the BMJ journal "Tobacco Control".